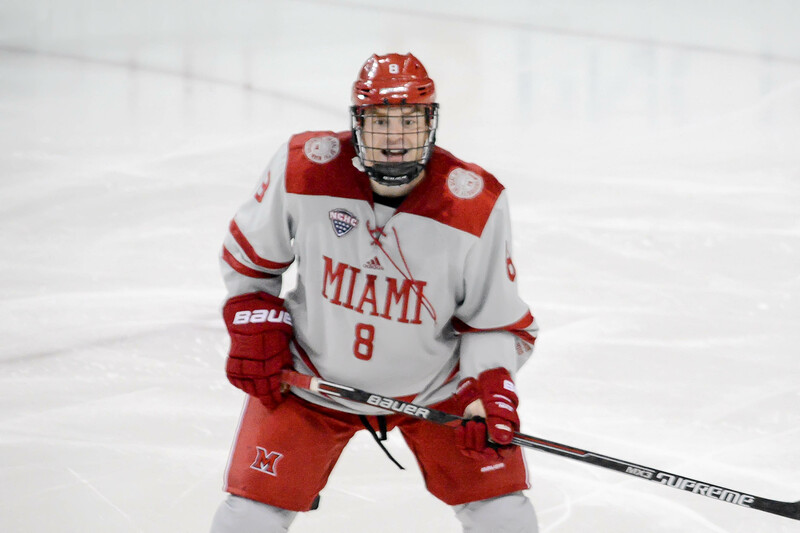 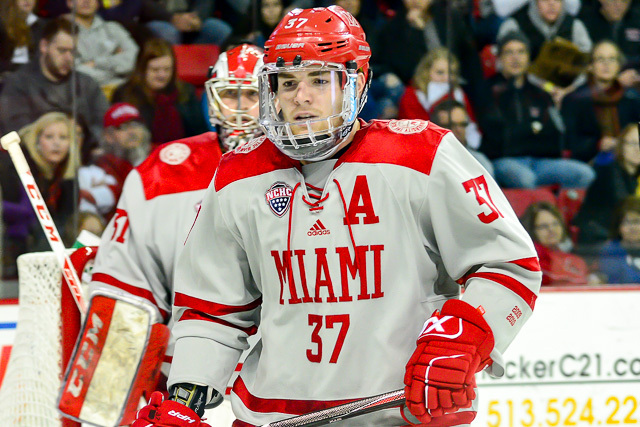 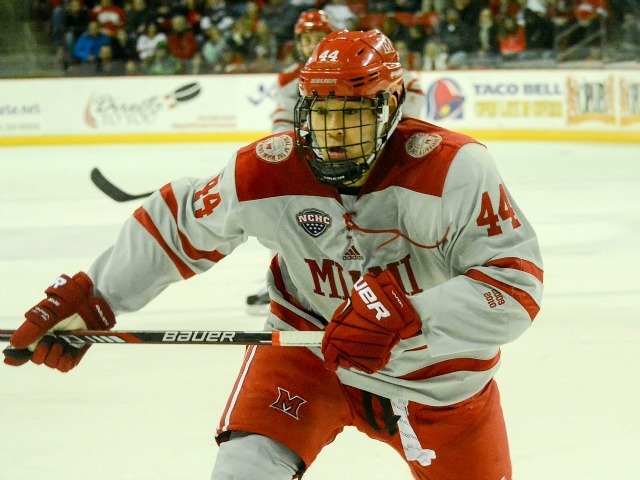 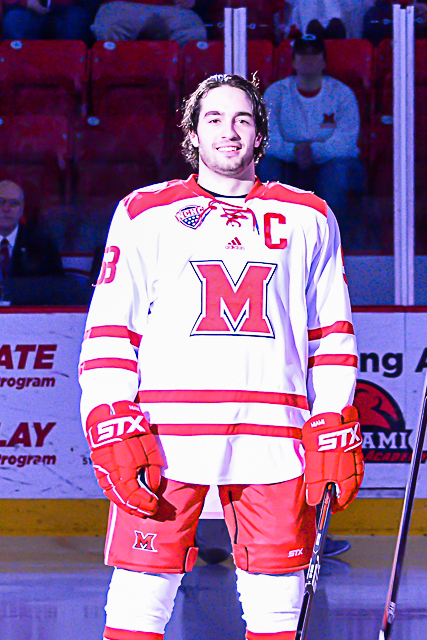 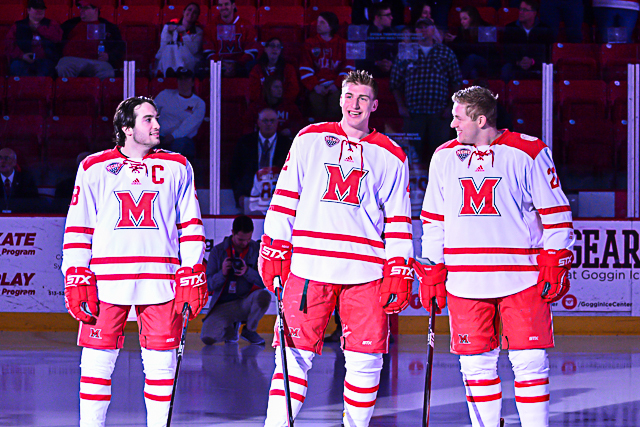 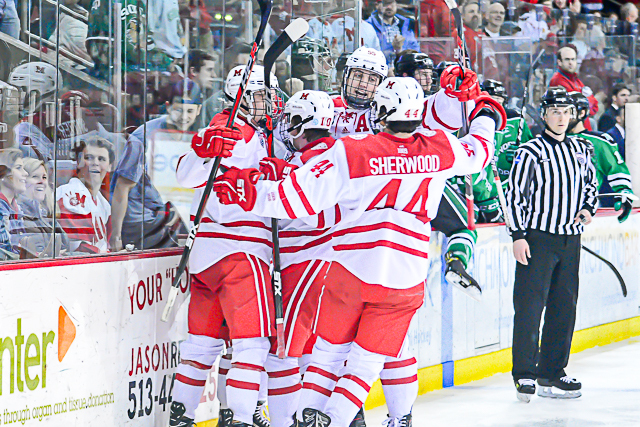 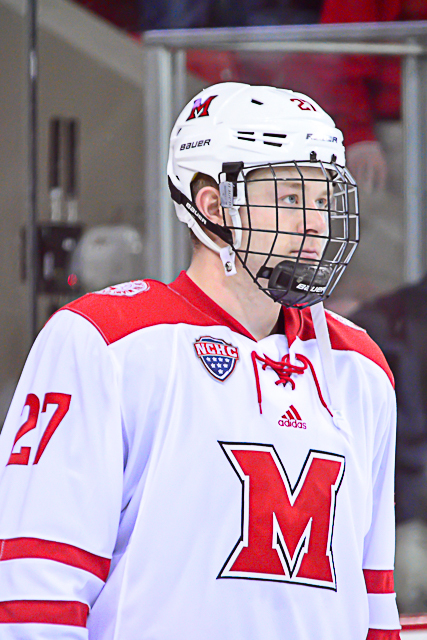 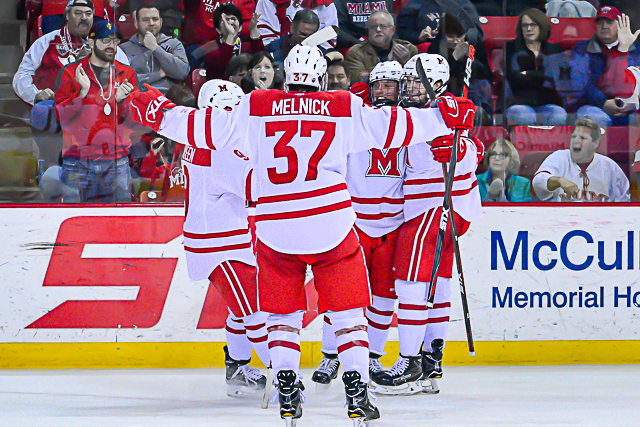 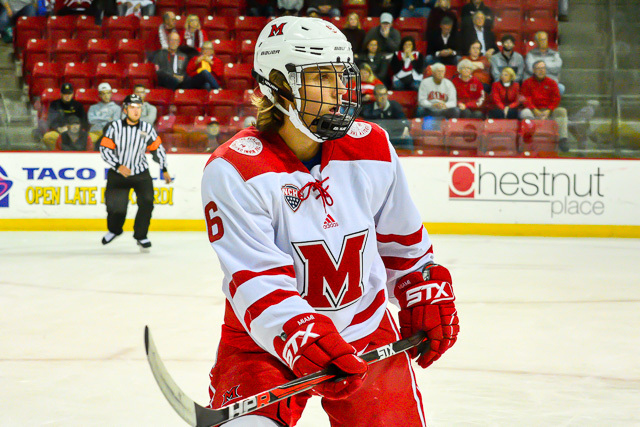 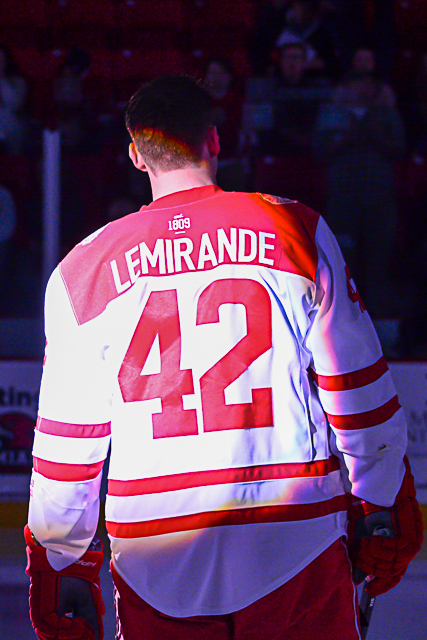 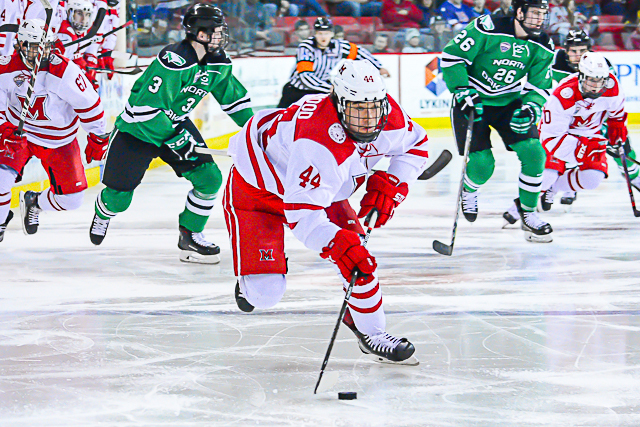 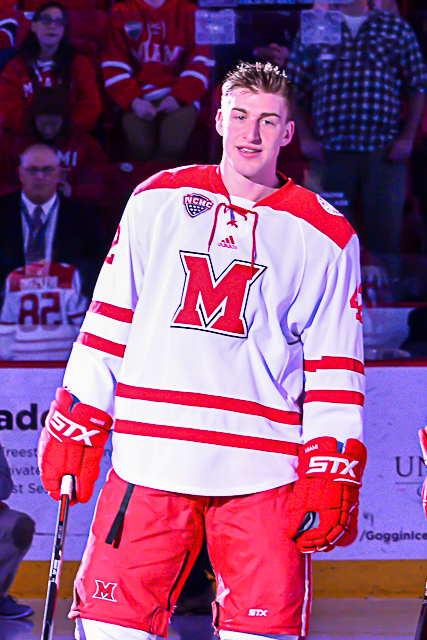 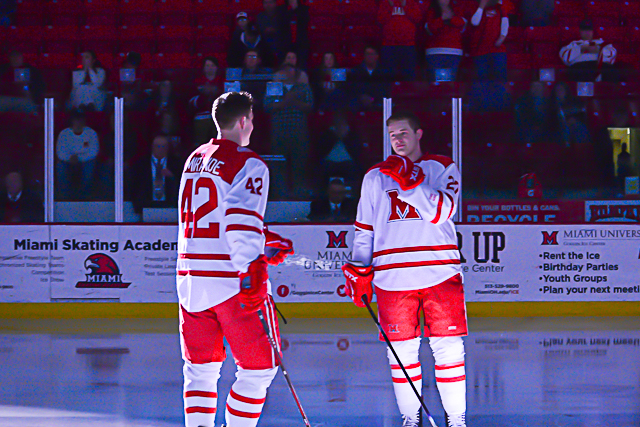 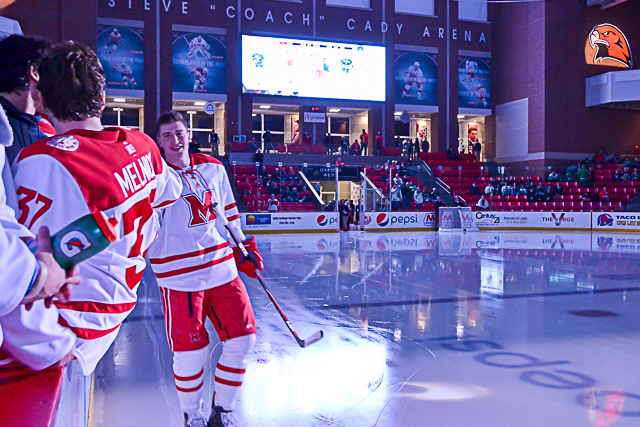 WHO: Miami RedHawks (4-4) at No. 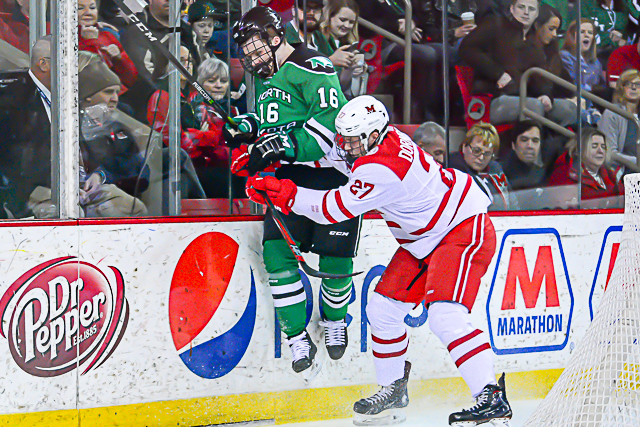 2 North Dakota Fighting Hawks (6-2-2). 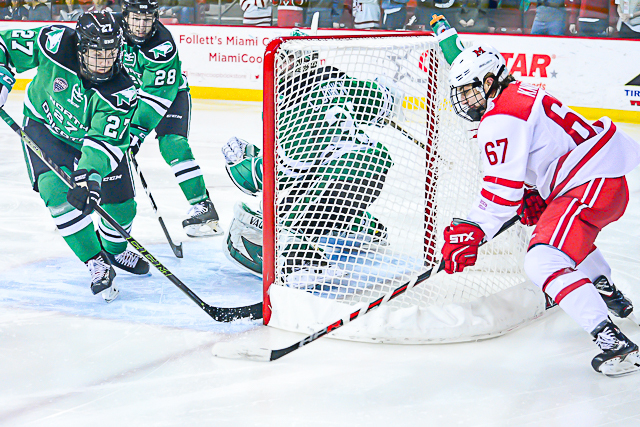 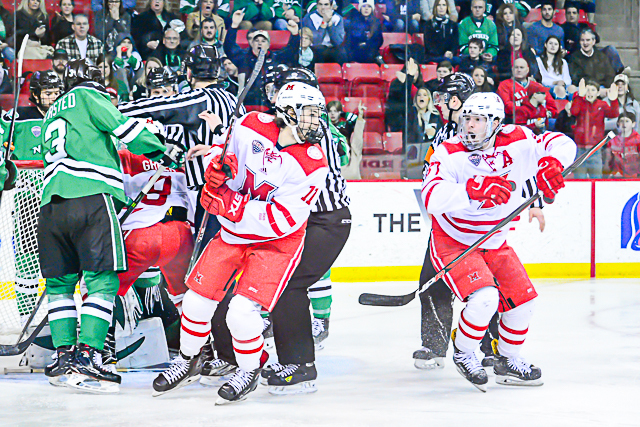 WHEN: Friday, 8:37 p.m.; Saturday–8:07 p.m.
WHERE: Ralph Engelstad Arena, Grand Forks, N.D.
NORTH DAKOTA RADIO: KQHT-FM (96.1), Grand Forks, N.D.
NOTES: Miami’s The 2016-17 season wasn’t memorable, but one highlight was a 6-3 win in Grand Forks in which Louie Belpedio racked up a goal and two assists. 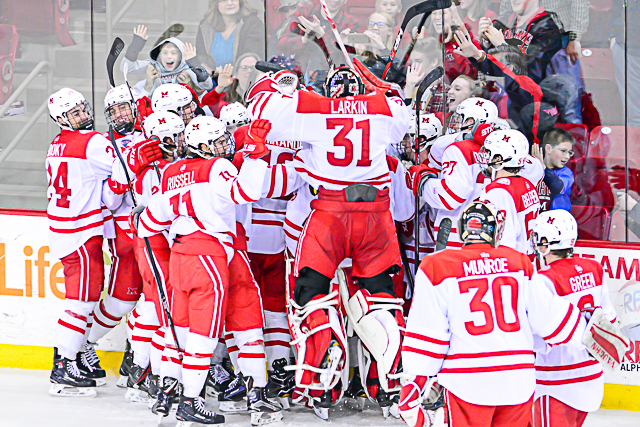 That was on Friday, Jan. 13. 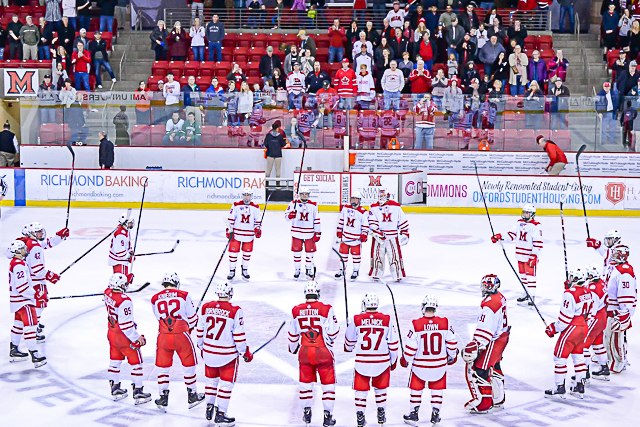 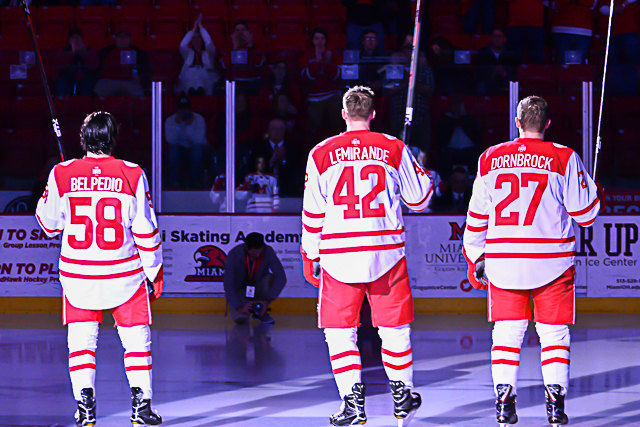 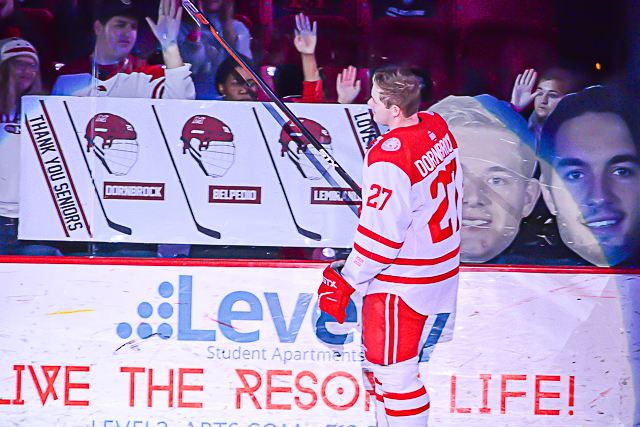 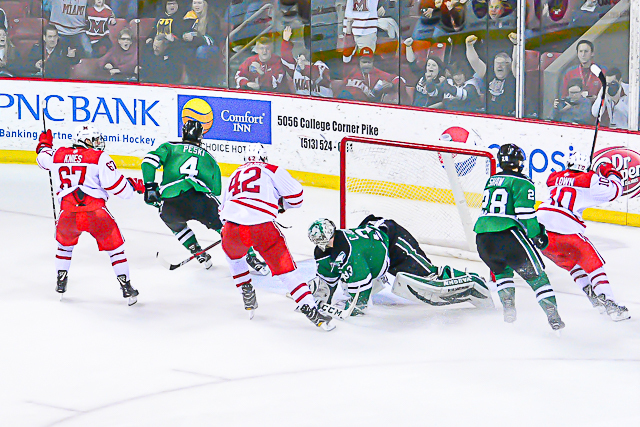 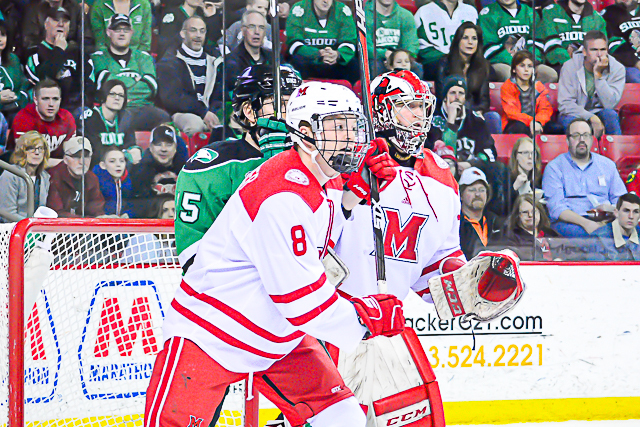 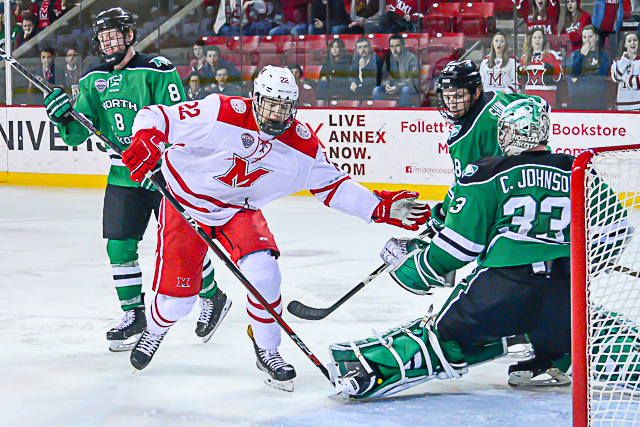 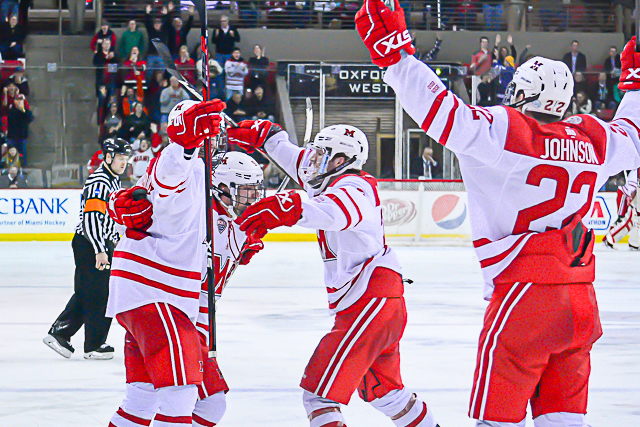 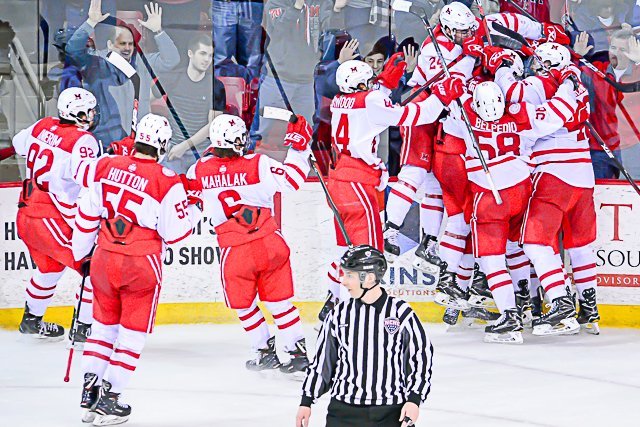 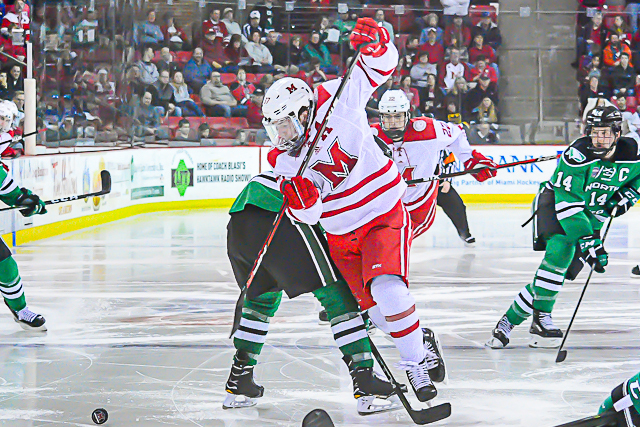 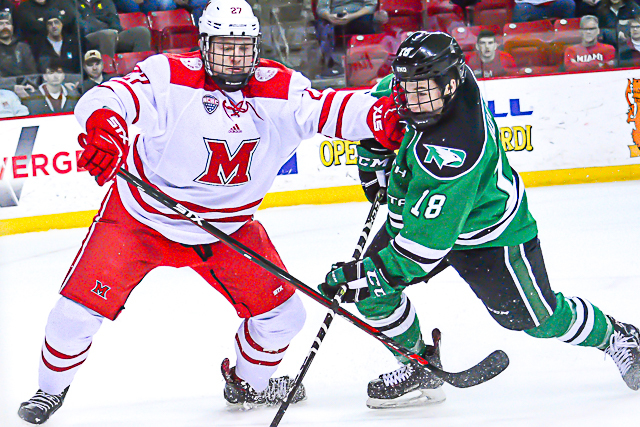 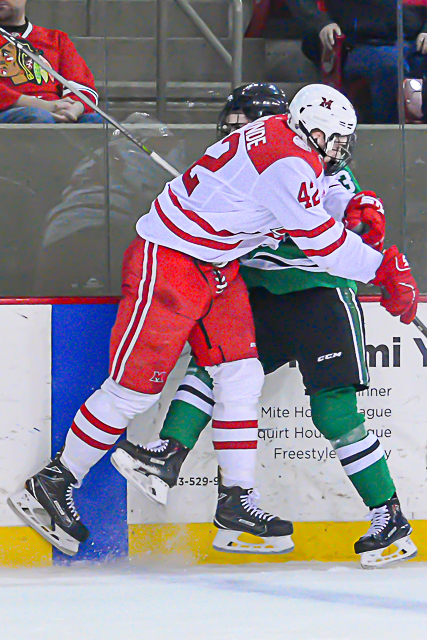 The RedHawks lost, 3-1 to UND the next night and have not won a conference road game since, going 0-7-2. 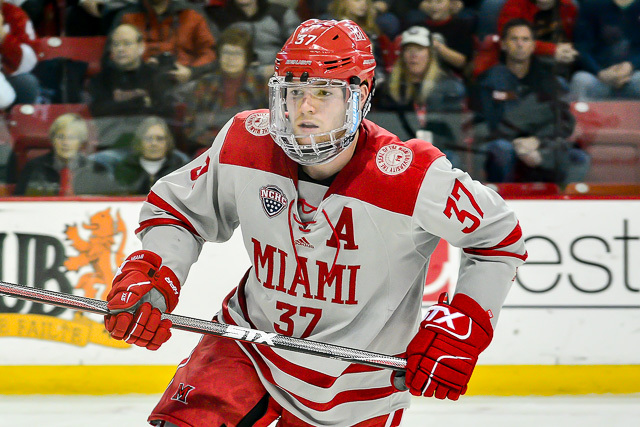 The USCHO poll has St. 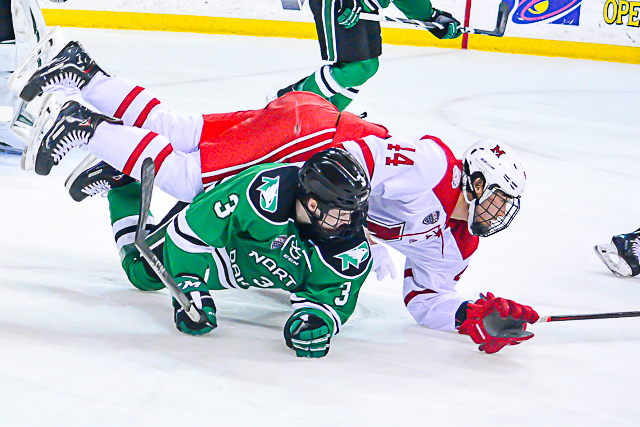 Cloud State, North Dakota and Denver in the 1-2-3 slots. 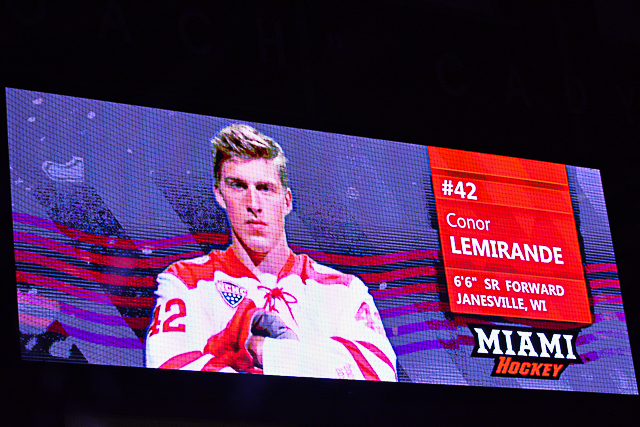 Take that, league detractors. 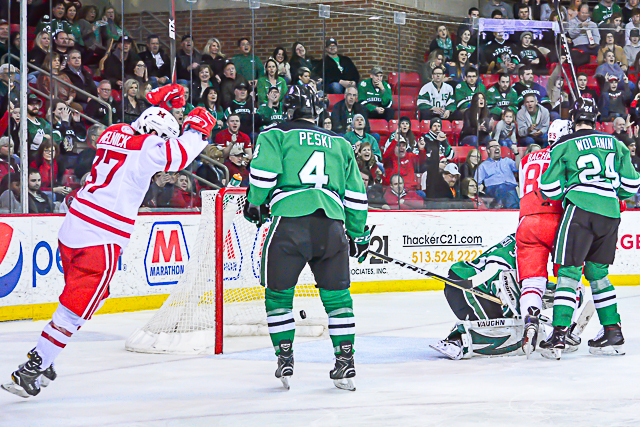 The Fighting Hawks have only lost twice in their first 10 games – once at home vs. then-No. 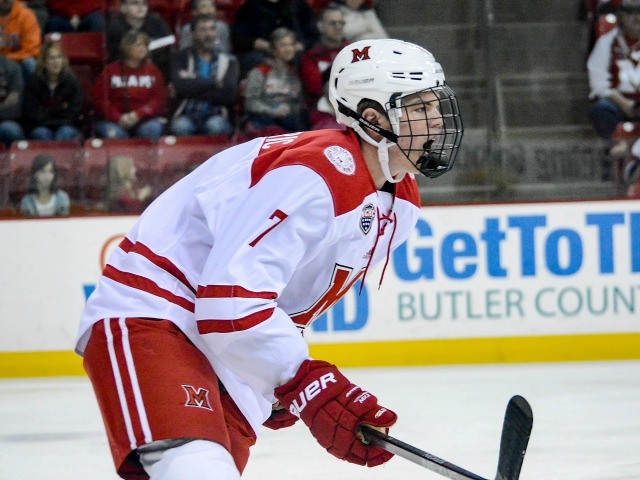 8 Minnesota, and they split at Colorado College two weeks ago. 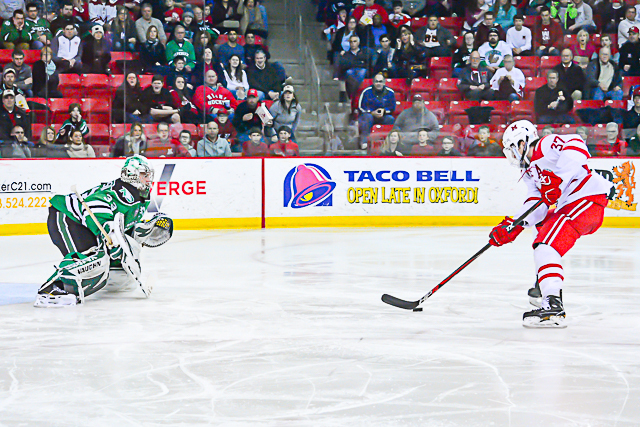 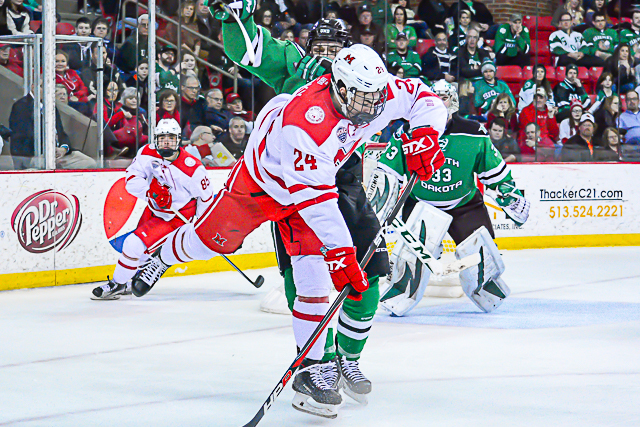 North Dakota enters this weekend unbeaten in its last three (2-0-1), having won its finale at Colorado College and gone 1-0-1 at seventh-ranked Wisconsin last weekend. 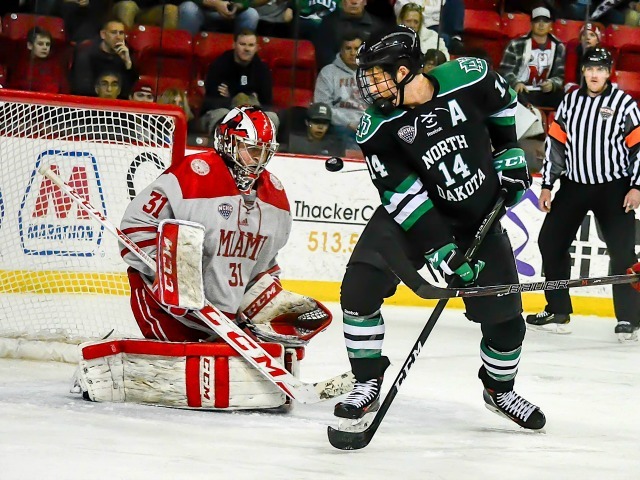 Goalie Cam Johnson is receiving much of the credit for the Fighting Hawks’ fast start, and his .925 save percentage is definitely solid, the UND defense has made Johnson’s life much easier. 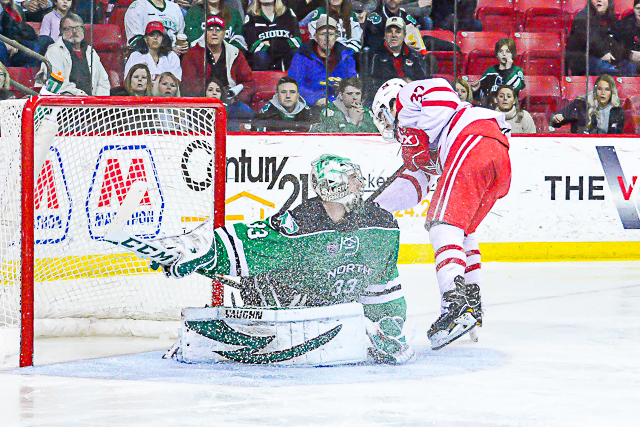 North Dakota is allowing just 23.6 shots per game, as the team has a shot differential of plus-7½ shots per game. 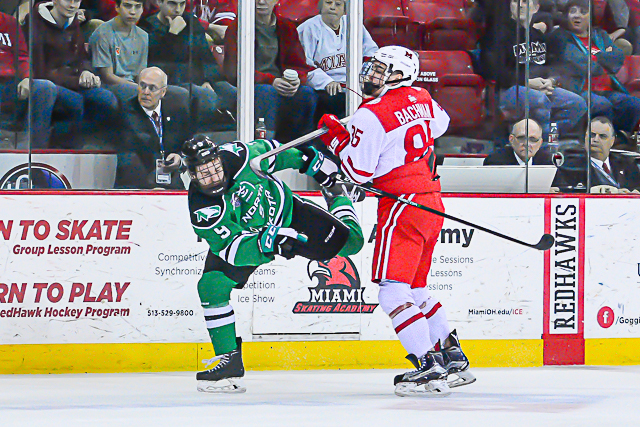 The Fighting Hawks’ 95.1 percent penalty killing clip is third in Division I. 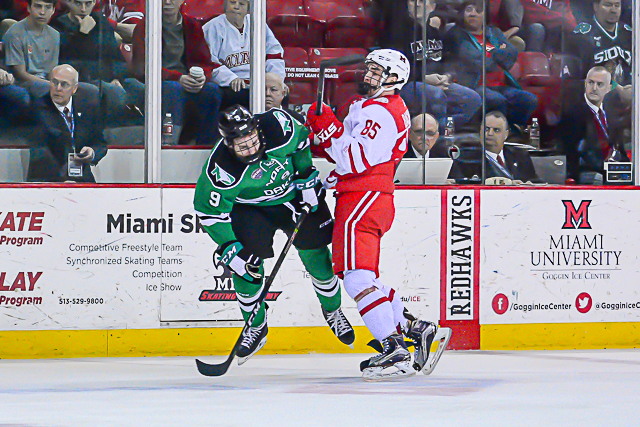 The UND blue line is headed by Christian Wolanin, son of 13-year NHL veteran Craig Wolanin. 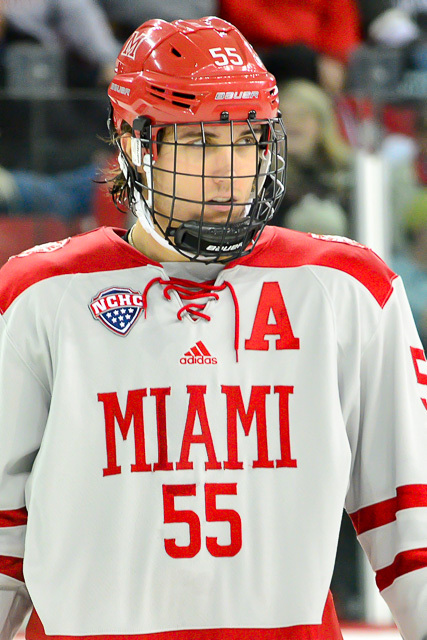 Christian Wolanin leads the team in points (3-6-9) and the fourth-round pick of Ottawa is the highest-drafted defenseman on the team. 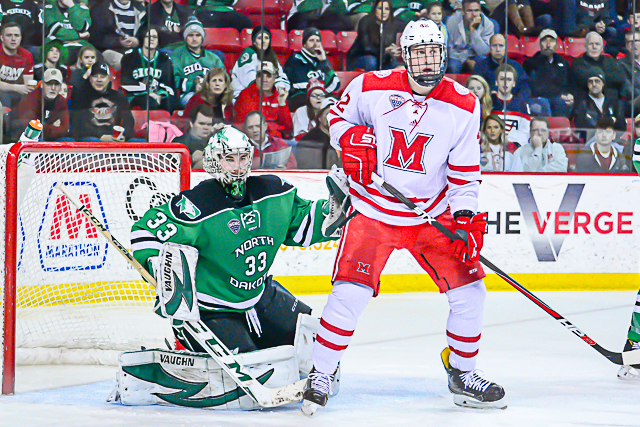 Among defensemen, Wolanin, Andrew Peski, Colton Poolman and Hayden Shaw have dressed for all 10 of North Dakota’s games. 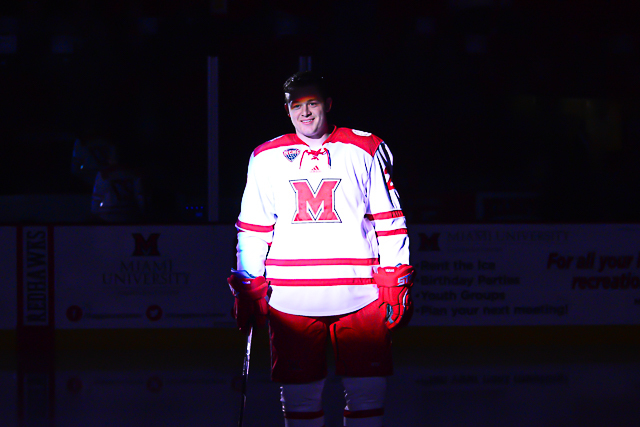 Gabe Bast, who has logged six games, and Poolman both have a goal and three helpers. 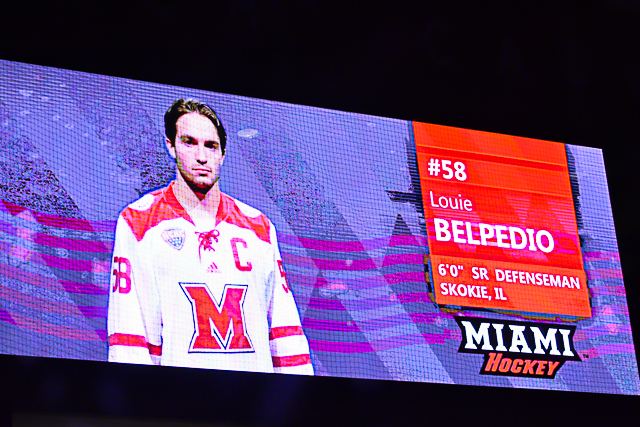 Shaw is 0-3-3 and Peski has one assist. 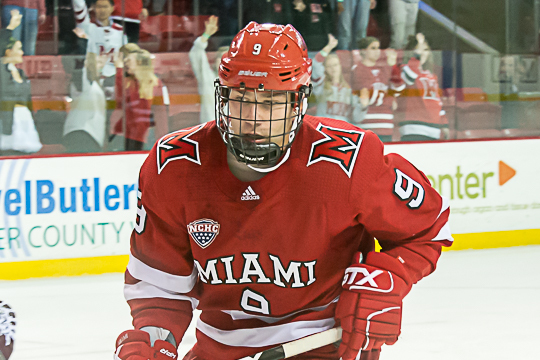 Freshman Grant Mismash is a second-round pick – the only player taken in the top two rounds on the team – and he has three goals and five assists, leading all forwards with eight points. 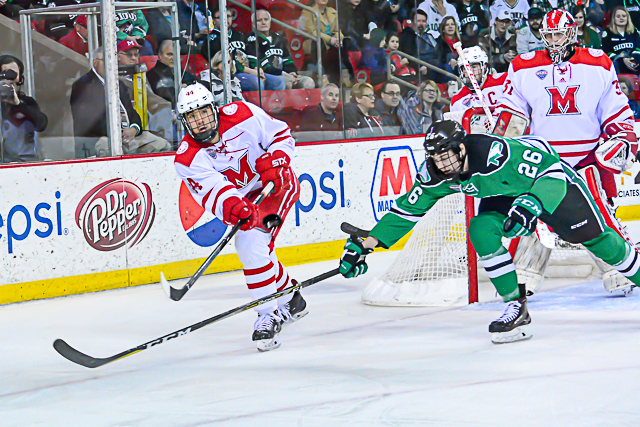 Nick Jones (3-4-7), Shane Gersich (3-3-6) and assistant captain Rhett Gardner (2-4-6) are also major components of the UND forward corps. 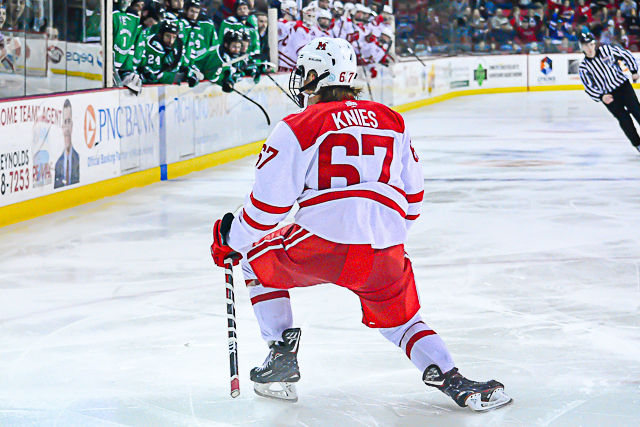 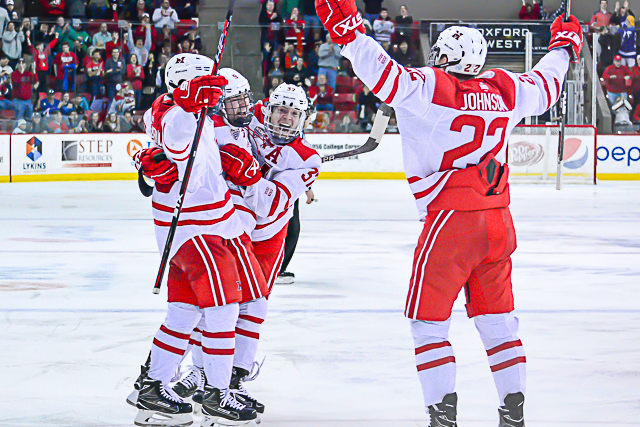 Collin Adams, a freshman and sixth-rounder, leads the team with four goals. 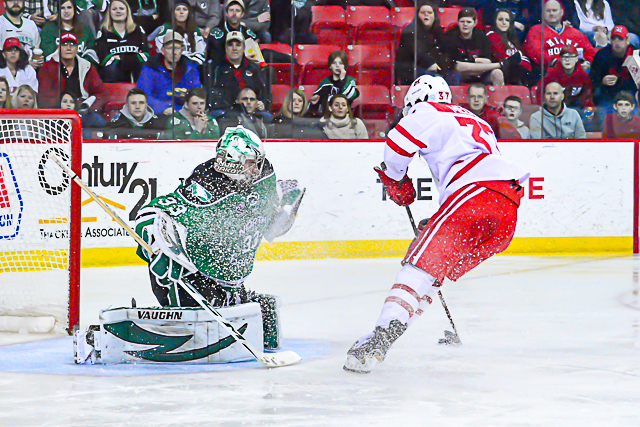 In net, Johnson is fifth in Division I with a 1.63 goals-against average, and his save percentage is tied for 15th. 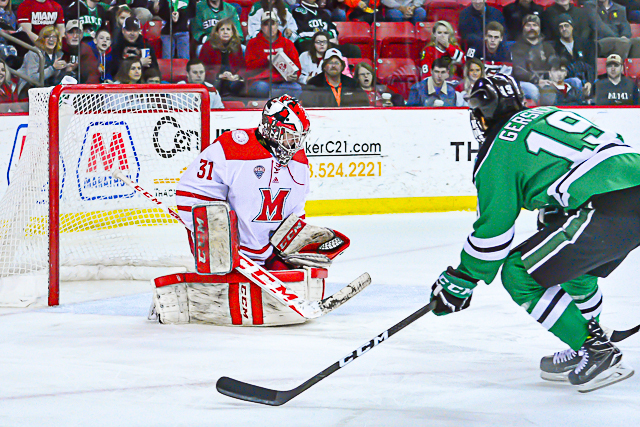 However, after he started the first eight UND games, he missed last weekend with an undisclosed injury. 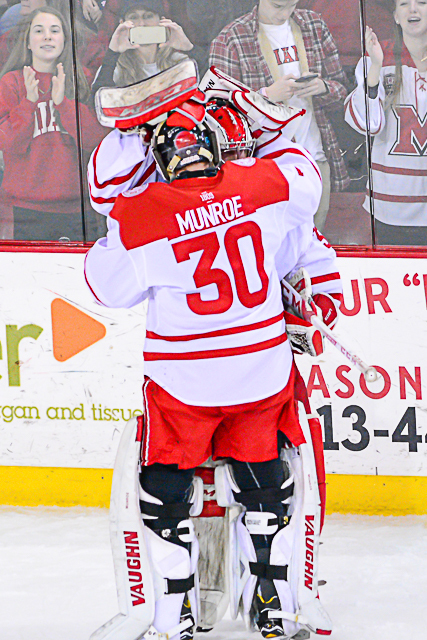 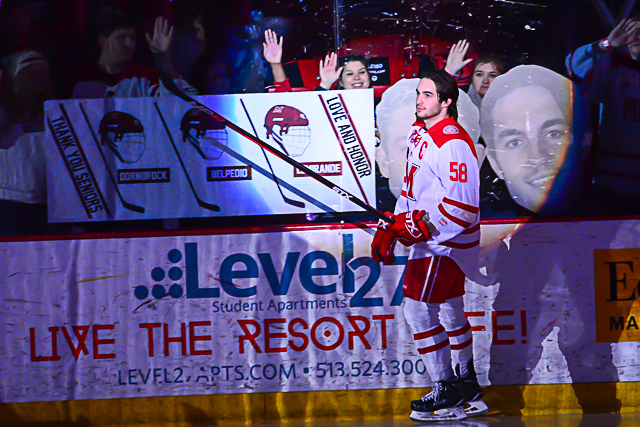 Peter Thome was between the pipes for the Wisconsin series, and he went 58-for-62 (.935) in a win and a tie. 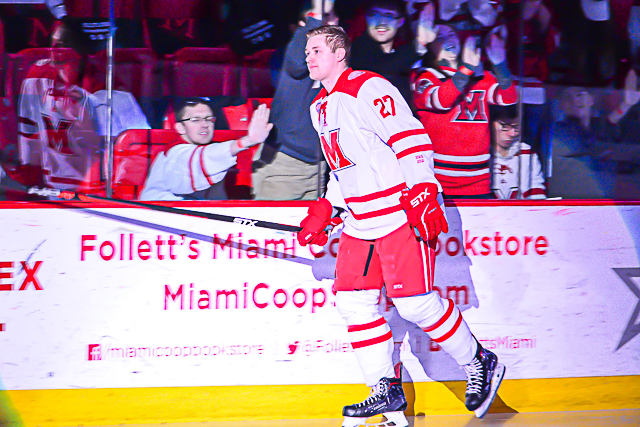 The aforementioned Miami win here has been the only one for the RedHawks vs. 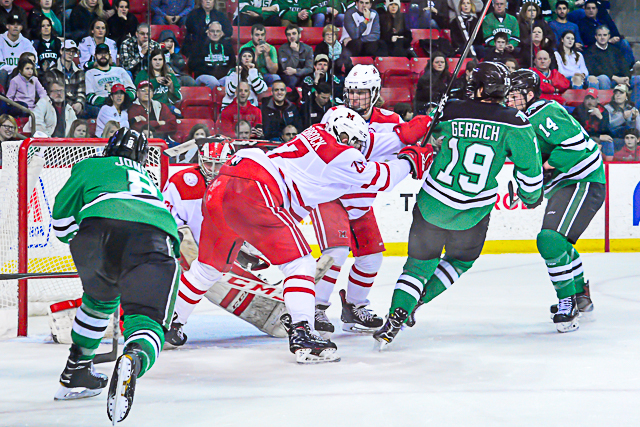 UND in the teams’ last six meetings regardless of venue. 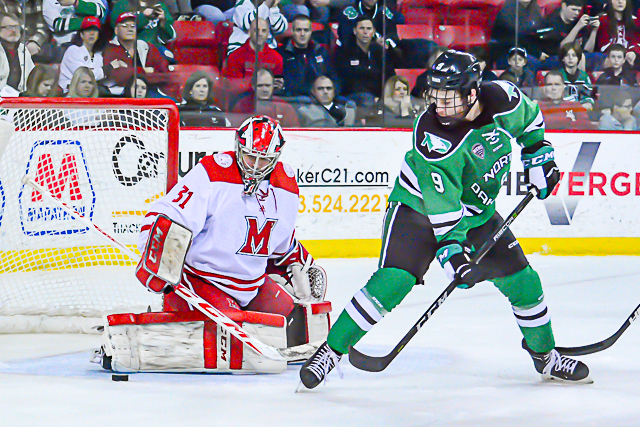 North Dakota swept Miami in Oxford to wrap up last regular season. 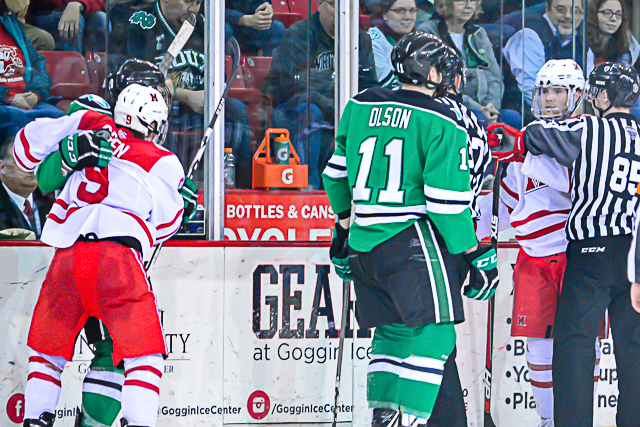 Gardner leads all Fighting Hawks in career goals vs. MU, as he has scored three times in six games vs. the RedHawks. 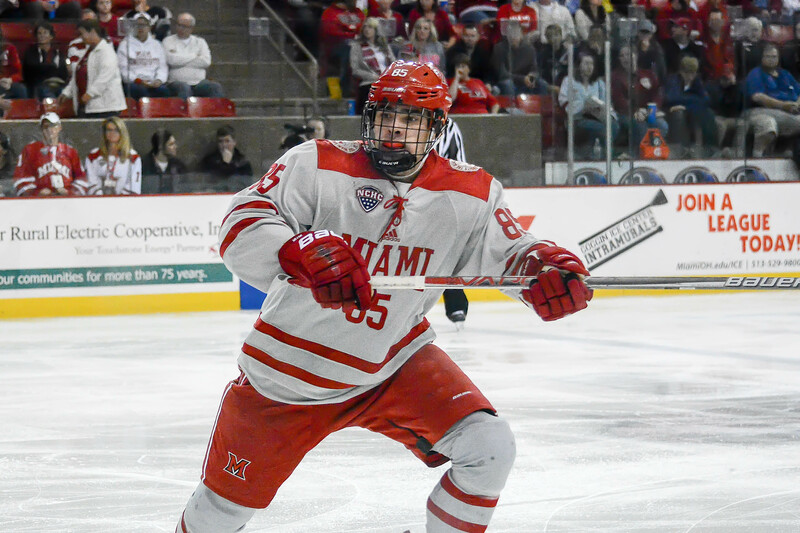 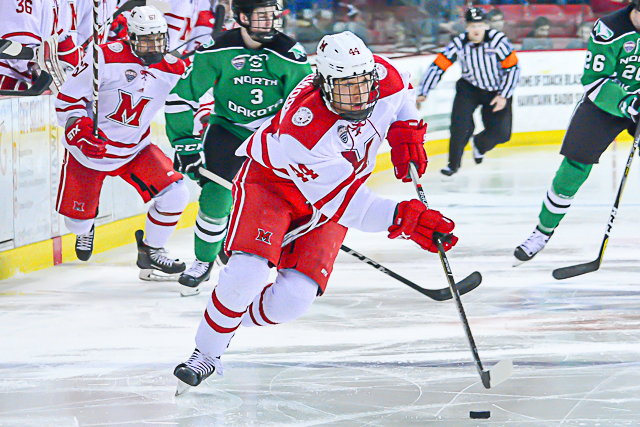 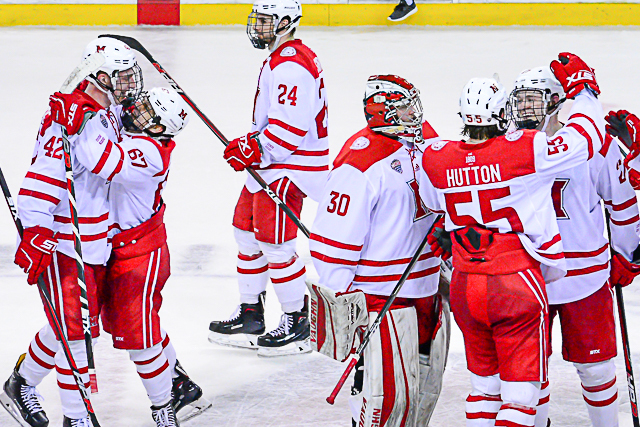 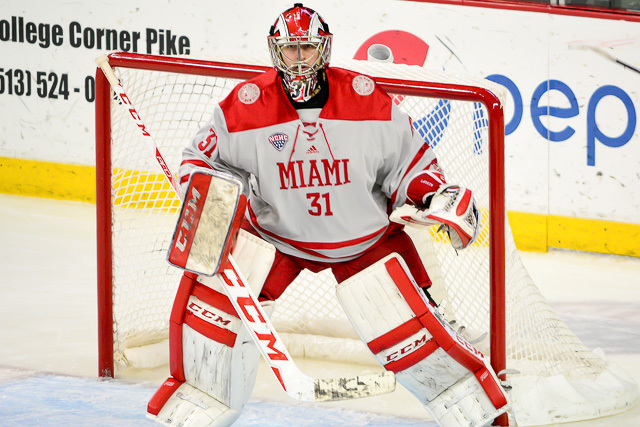 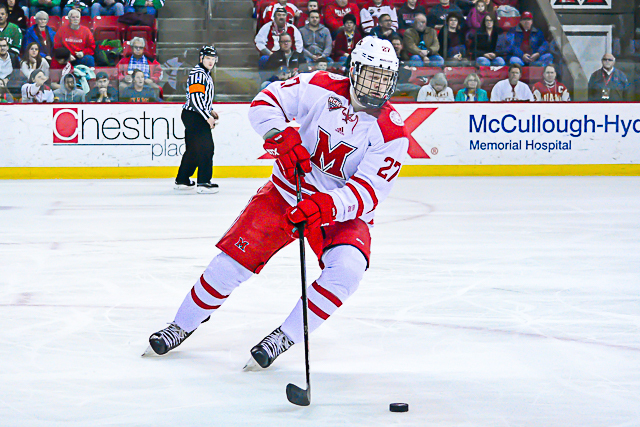 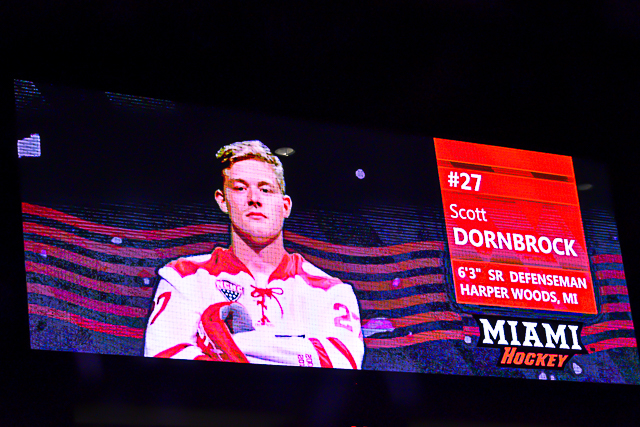 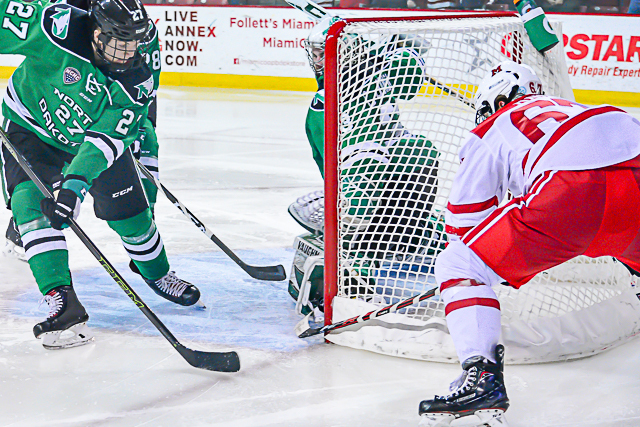 Miami lost last Saturday vs. Colorado College, snapping a three-game winning streak. 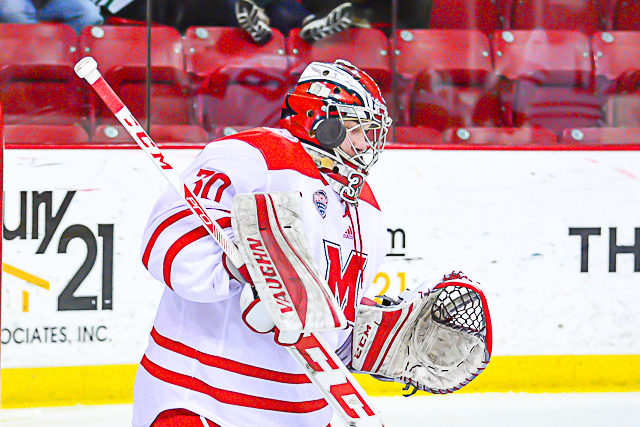 Goalie Ryan Larkin has allowed just five goals in his last four games. 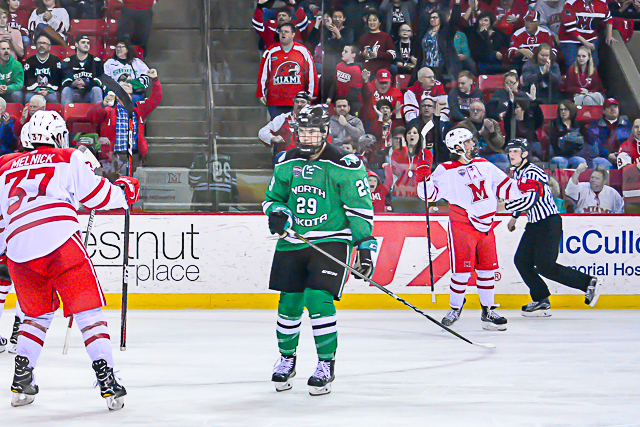 Both teams are 1-1 in the NCHC.